The recent Facebook data leakage has highlighted the cybersecurity issueagain, following the record high cybersecurity problems of data leakage, cyberattack, and vulnerability discovery, in terms of either occurring times or influence in 2017 worldwide. Though companies are investing more on cybersecurity, the cyberattacks and criminals are still growing infrequency and severity. According to MarketsandMarkets, the cybersecurity market is expected to grow from USD137.85 billion in 2017 to USD 231.94 billion by 2020, at a CAGR of 11%. 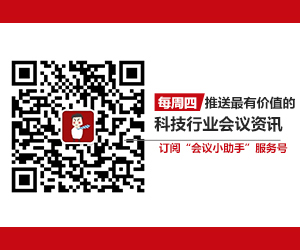 To deal with the cyber criminals, Chinagovernment has launched a serious of Laws, such as Internet Security Law of People’s Republic of China and PublicInternet Security Threat Monitoring and Disposal Method. 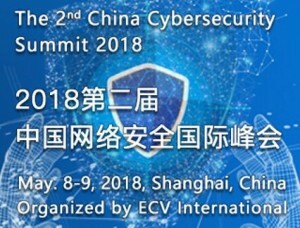 On this background, the 2nd China Cybersecurity Summit 2018organized by ECV International will be held in Shanghai in May8-9.The event will bring together about 150 the most influential cybersecurity industryexperts and executives to share the latest market intelligence and discuss the emerging cyber threats, which refer todata security, cloud security, cyber intelligence and cloud computing, etc. This event will be an ideal platform for theindustry insiders to have a deep communication and networking.